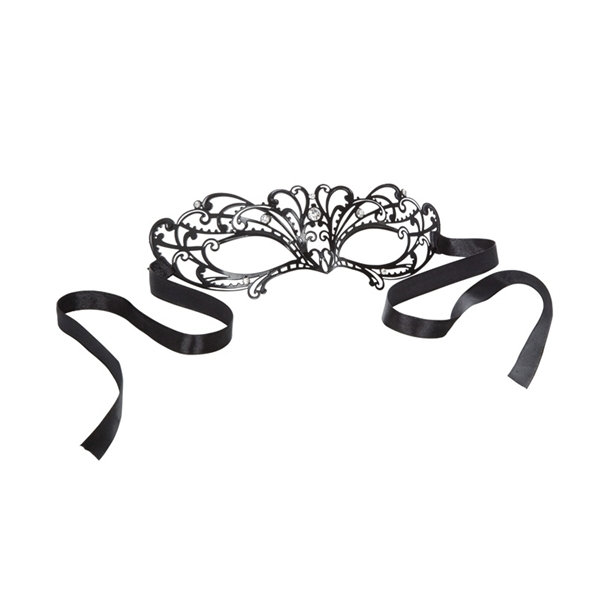 Entice Mystique Mask Black. High quality, sturdy, lightweight designer mask. Glistening crystal accents. Elegant silky ribbon ties. Non-tarnishing, nickel free. Safe and pure for body and pleasure made using phthalate free materials: Nickel free iron mask, Acrylic crystals, Polyester ribbon. Bulk weight 0.6oz. 7 inches by 2.5 inches.